All AIA members and allied building professionals are welcome to join these meetings. The next meeting of the San Diego AIA’s Modular Architecture Group will be an open discussion regarding when and how to modularize your designs. Bring one of your current projects for a roundtable discussion on its merits as a potential modular construction, and how conversion can be accomplished. Projects that make good candidates for modularization include: multi-family housing, student housing, classrooms, hotels and hospital patient wings. All AIA members are welcome to join the meeting. Below is the next post, number 6, in the continuing series of prefab/modular Q&A asked by Norman Gray, a graduate student at the New School of Architecture and Design in San Diego, CA and answered by James B. Guthrie, AIA, President of Miletus Group, Inc.
How can prefab modules be designed so that they are not only rectangular or limited to prefabricated looks like stacked blocks? That is an easy one. Owners and developers who want to build prefab or modular architecture should hire an architect. There is no question that the supply chain in the US has been stuck with boring boxy forms. However, this has more to do with a lack of creative pressure than anything else. While the analogy to Lego® blocks can be fun, there is nothing that requires prefabrication of building components to be as repetitive in form as rectilinear blocks. Blocks do have some efficiencies, but they are minimal. A creative architect who understands how prefab building is done can come up with non-rectilinear forms that can be built as easily as common box forms. The discussion will include American Modular Systems’ CHPS verified and award winning zero net energy Gen7 modular classroom. January’s guest will be Jim Wallace of AMS. AMS is a California manufacturer of commercial, institutional, and modular buildings. Below is the next post, number 5, in the continuing series of prefab/modular Q&A asked by Norman Gray, a graduate student at the New School of Architecture and Design in San Diego, CA and answered by James B. Guthrie, AIA, President of Miletus Group, Inc.
Are there any new materials or technologies which are making prefab construction more cost effective? As far as I am aware, no none that directly pertain to offsite construction. There are some new building materials on the horizon that show promise, but as of yet they have not made it into prefab production. At this time, the cost benefit of prefab is in the process, not the materials. This could easily change in the near future as the supply chain becomes more robust, but for now the focus has been on tweaking standard methods to make building more cost effective. Manufacturing processes that allow repetitive work to be done quickly is the chief driver of prefab right now. Quick assembly once on the site is another. Use of sustainable building practices is yet another. Perhaps one aspect of using manufactured processes that is a new benefit to the building world is the idea of greater precision in building. Products produced in a factory setting are inherently built more accurately than on site work. This can translate into stronger and more efficient buildings. The application of the methodology to architecture is somewhat new. The building materials and technologies, however, still tend to parallel standard construction. Below is the next post, number 4, in the continuing series of prefab/modular Q&A asked by Norman Gray, a graduate student at the New School of Architecture and Design in San Diego, CA and answered by James B. Guthrie, AIA, President of Miletus Group, Inc.
How do you think increasing populations and decreasing jobs will effect construction and what role will prefab play in this environment? World Populations: 1938 2 Billion, 2006 6.5 Billion, 2030 8.3 Billion. This is an interesting question. I think that if you look at China and India right now you will see two countries that are experiencing a great deal of population growth pressure. In these countries, you can already see some of the answers that occur in these kinds of resource stressing situations. Because of the prefab benefit of speed to occupancy, both China and India are becoming bigger and bigger proponents of prefab construction. They are already implementing these methods at a greater pace than most other countries. They have learned that when the complete supply chain is in place, prefabrication can be used to turn out a great deal of building square footage very fast. While quick building does move toward ‘solving’ the problem of housing shortages, it is typically being done with generic buildings, not architecture. Unfortunately, just creating housing rapidly means there will be a lack of consideration for how people live and how that housing works within a cultural context. This will naturally lead to significant social problems down the road. This is, though, not a problem caused by prefabrication, but prefab may wind up taking the blame. The problem, at its root, is caused by societies reacting to the past and not planning or designing for the future. This is one reason I am such an advocate for architects becoming more knowledgeable about prefabrication. If architects do not, good design will be ignored for speed. In the end, nothing good will come from that. Below is the next post, number 3, in the continuing series of prefab/modular Q&A asked by Norman Gray, a graduate student at the New School of Architecture and Design in San Diego, CA and answered by James B. Guthrie, AIA, President of Miletus Group, Inc.
Is there a minimum size for a project to make prefab economically viable? No. 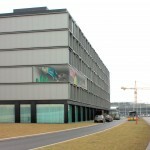 Prefab is a generic concept that has been used to make buildings as small as garden sheds (1 small module) and as large as a 24 story apartment building (500+ large modules). Viability is determined by all the factors that go into making the building, including understanding the supply chain that produces the factory made components and the efficiencies inherent in that chain. In the case of the garden shed, the sheds are standard designs produced by the hundreds, if not thousands. In the case of the 24 story building, the resulting building is a single architectural structure. One commonality that lead to the economic success in both examples is the use of repetition where repetition made sense. In the case of the garden shed, repetition is probably obvious as each shed is a copy of a singular design. In the example of the 25 story building, the architect cleverly exploited repetition in the layout of the apartments so that very few unique modules were used yet an overall creative architectural solution was achieved. The fundamental lesson of economic viability here is that if you want to use prefab for a small building, make many replicas of the same building. If you want to use prefab for a large building, make it from many similar components. Q: What do the Marmol-Radziner Desert House, the Sunset Breeze House, the WIRED Livinghome and High Tech High all have in common? A: They are all modular and they were all engineered by the modular experts RS Tavares Associates! Come hear Ralph Tavares, PE share his insights into these and other special modular buildings at the next Brown Bag Roundtable on Modular Architecture. All AIA members welcome. For more information, link here. If you are unable to attend this meeting, consider joining the The Modular and Prefabricated Architecture Group on the AIAKnowledgeNet. Sometimes we might have to read a poem a couple of times before we start to understand the nuance in what the poet is trying to convey. This is also true of architecture. It is true of the desert. Borrego Springs, California is a place of poetic realization. It is a place that brings a post-war vision of modern living to a dramatic desert landscape. It is a gem worthy of notice. 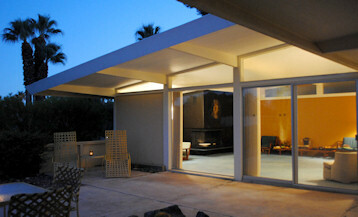 Borrego Springs is becoming known as a great place for mid-century modern architecture. It too deserves multiple readings. 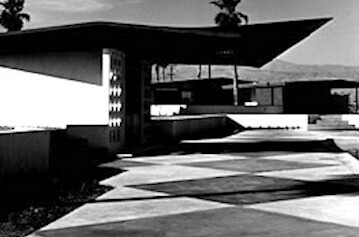 The mid-century modern architecture in Borrego Springs is quite good, but one of the more fascinating architectural aspects of its modernism is its contextual and temporal influence on more common modern architecture’s precepts. One of the basic tenets of modernism is the idea of form following and expressing function. The first European modernists, for example, sought inspiration from other structures that were purpose built, structures like factories and steam ships. In their design pursuits they sought purity of form, removal of non-functional ornament, and the visual and engineering exploitation of modern materials of construction. The formal results of the modernists coming from Europe and the Bauhaus in Germany was a very clean, mostly rectilinear vocabulary. In the hands of masters like Mies van der Rohe, exquisite and poetic works of architecture emerged from modernism’s foundations. One of the iconic designs to come at the peak of this era of modernism is the Farnsworth House by Mies (Figure 1). By the end of WWII, the center of the European modern movement had shifted. Mies had left the Germany and landed in Chicago. It was a logical choice as Chicago had already established itself as the center of new American architecture with Sullivan, Wright and others of the Chicago School. Along with the apprentices working in Chicago’s architectural studios, Mies began teaching his brand of modernism to a new generation of modernists at the Illinois Institute of Technology. Modernism thrived there, carrying on and refining the idea of form’s relationship to function. But something else was happening at the same time. A number of architects having worked in the Midwest wound up moving to Southern California. Irving Gill was one of the first to open that door and bring modernism and Chicago’s architectural thinking to California. His work was brilliant and on the cutting edge, but he was early and wound up working in relative isolation. Rudolph Schindler and Richard Neutra would soon follow Gill, but they were still a small group. That all changed with WWII. Just before and during WWII, California became a big part of the defense buildup and major new industries were being established there. To support this new industrial wave, European and American design talent began moving west in significant numbers. After WWII, Southern California found itself caught in a major economic and cultural wave. There were many creative minds at work during this period. This is the time of the now famous Case Study Houses project by Arts & Architecture magazine. The Case Study project was all about taking the ideas of modern architecture and adopting them to a new emerging modern California lifestyle. Where the Farnsworth House was a tight and precise machine raised above and apart from the landscape, the California movement, as exemplified by Case Study Houses, were rooted in the ground and anchored to the pleasant Mediterranean climate of coastal Southern California. 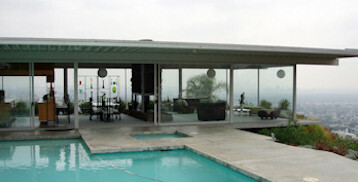 Case Study House #22 (Figure 2) is a good example of how the line between inside and outside had disappeared. Nature now flowed into and through these homes, though formally they still strongly resembled their European precedents. The idea of integrating nature into architecture had long been talked about by architects of the modern age, and some, like Gill and Aalto, had success with the idea. 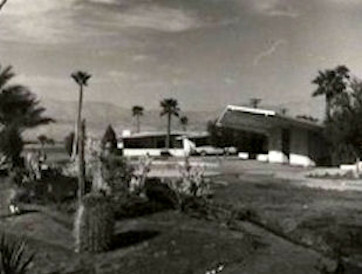 Post WWII California, however, brought modernism into a symbiotic relationship with the earth. The floor was the ground; the ground was the floor. The desert is an interesting place. It is extreme in its climate and subtle in its beauty. It is a place that never lets you forget where you are. It never lets you separate yourself from it. It demands your attention. When you understand its energy, and you give in to it, you come to know the power and beauty of all of nature. The desert is poetic, and it has a powerful draw to a special kind of person. 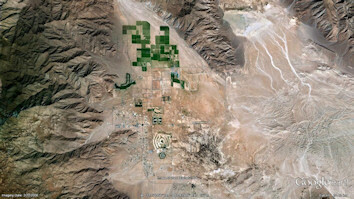 Borrego Springs sits in the middle of the Anza Borrego Desert (Figures 3 & 4). It was the perfect place for the ideas being developed in Los Angeles and San Diego to take on a new dimension. The timing was also right. This community was just being built in the 1950’s and 1960’s. Unlike the first modernists, though, factories and ships were no longer adequate formal inspirations. The sun and climate of the desert demanded a rethink, a tweak. The modern ideas that emerged in this desert brought together the notions of being rooted to the earth, soaring through it’s warm air, and finding comfort and shelter from its searing heat and sun. These ideas all emerged from one Richard Zerbe. An unlikely hero, Zerbe came to Borrego Springs through an apparently random series of events. As it turned out, he was the right person, in the right place, at the right time to create an architecture that is special to its time and place. Zerbe, who first studied aeronautical engineering in Pittsburg, found his way to San Diego as a young man. He wound up working in the new aerospace industry, which was then booming in Southern California. A few years later, he changed careers to become an architect. He moved to east San Diego County near the Anza Borrego desert, and wound up creating a special contextual and spiritual modernist style in the process. As with earlier modernists, Zerbe kept to a tightly engineered design, with a form follows function approach. He also kept the openness, pushing the idea of enclosure to the background. From the Southern California modern variant, he placed his buildings on the desert floor, allowing the inside and outside to be one. 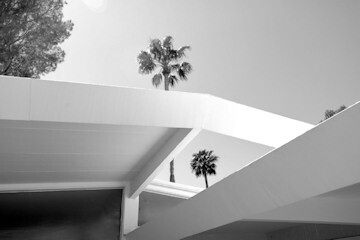 What Zerbe did with his roof design, though, is what really sets him and his buildings apart and creates a new Borrego Springs architectural zeitgeist. Because the desert sun is so strong, Zerbe pushed the roof edges way out beyond the wall line to create ample shade below. With this strong roof and the modernist transparency below, he then tilted the roof slightly. Unlike the low pitch of a Prairie style hip roof, Zerbe created massive roof planes that hover above his buildings (Figure 5 & 6). They take on the characteristics of a large airplane wing. He exploited that notion by detailing the roof structure like the aeronautical engineer he was. The struts and outrigger framing were exposed and tapered to enhance the aeronautical metaphor (Figures 6 & 7). Vertical members were diminished to reduce their obstructions to the floating horizontal lines (Figures 8 & 9). Like Wright who saw and emulated the horizontal lines of the prairie, Zerbe saw the horizontal shape of the wind and of flight and emulated them. The desert breezes flow over and under his roofs, like the wings of a soaring airplane. They also provide the very functional role of shading and of cooling the people under those wings. Zerbe created the Desert Modern style. 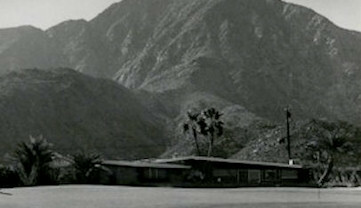 Richard Zerbe’s work in Borrego Springs is unique and shows us how context and time can be used to create architectural form. Zerbe was a nuanced architectural poet, and his work deserves multiple readings. To be sure, this blog post only presents a very thin slice of Borrego Springs and the many modern architectural delights to be found there. This post is intended to highlight some of the special architecture and its contextual modernism that really stands out. 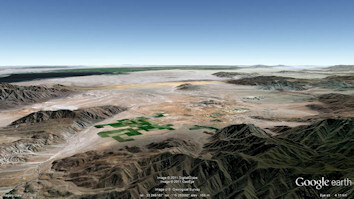 Borrego Springs and its surrounding desert have a lot more to offer than just Zerbe’s work. If you have an appreciation for mid-century modernism, modern modernism and/or the desert, Borrego Springs is well worth a visit.